In large microwavable bowl, blend filling ingredients. Microwave uncovered on High 5 to 7 minutes or until thickened. In large bowl, beat meringue ingredients with electric mixer on high speed about 2 minutes or until stiff peaks form. Pour hot filling into baked pie shell. Spoon meringue onto hot filling; spread to edge of crust. Place pie on middle oven rack; place sheet of foil on rack below pie in case of spillover. 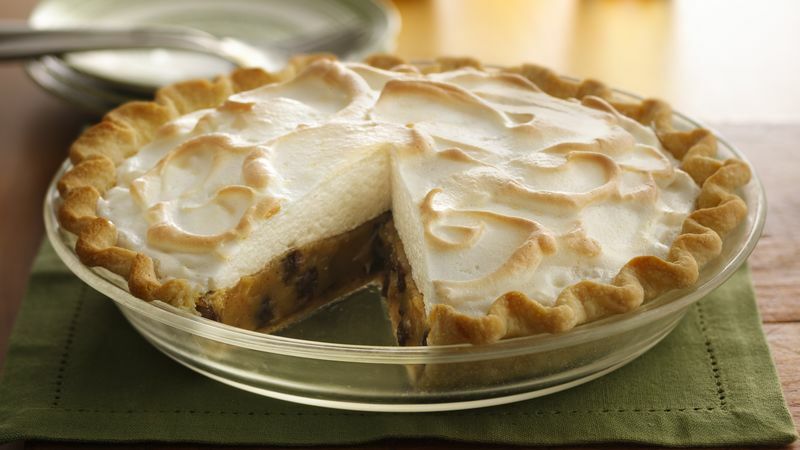 Bake at 350°F 9 to 11 minutes or until meringue is lightly browned. Cool completely, about 3 hours. Cover and refrigerate any remaining pie. Before spooning onto pie, meringue can be tested after beating by rubbing between your fingers to make sure sugar is dissolved and not gritty.